When we first made the decision to move to Devon, my main concern was Sprout living alone. He is quite needy and gets stressed when left alone. Originally we contacted the Mare and Foal Sanctuary in Newton Abbott with the intention of going through their adoption scheme, but we then saw an advert in our local Cornwall Farmers, seeking homes for 200 foals. Mum got in touch with the person who had placed the ad, and was heading up the operation, a lovely lady named Jo. Jo told us how these foals were the offspring of the Dartmoor Hill Ponies, and due to the moor being overpopulated, each year they get rounded up and rehired to keep the numbers down, which is essential for the survival of not only the moor itself but the other ponies too! We were sent photos (attached) of a number of ponies, but the pony who caught my attention was the “ugly duckling” who was a 5 month old, chubby little coloured thing, yet utterly adorable! I fell in love and Mum didn't take much convincing either! I’m not sure how I came up with the name Yogi Bear, but it happened, even though we call him Noodle at home. We spoke to Jo about the foals for hours on end, through phone calls, emails and texts, trying to learn as much as possible about the foals before bringing Yogi home. These foals aren't just cute balls of fluff, they're wild animals who have never been in contact with humans, let alone had headcollars on and been put on massive lorries! a few days before we went to collect him, Jo bought Yogi in off the moor, put him in a stable and managed to halter him. When we arrived, I went to sort Yogi while Mum and Jo finalised things. He was very scared as can be expected, but Jo had done a brilliant job with getting him started. We spent some time getting to know each other, rubbing his neck and finding his “scratchy spots” and he started to relax. We directed him to the lorry and credit to him, he did walk straight on, spying the massive pile of hay at the top of the ramp! I stayed in the back with him on the journey home, and he was very timid, but by the end, he had his muzzle on my boot and was munching away on his hay! Yogi and Sprout became friends very quickly, so when I bought Sprout in, I just let Noodle follow behind, and started attaching a lead to his foal slip, to get him used to leading. He quickly picked it up on our daily walks round the property, and wasn't intimidated by anything! We had guests over one time I remember, so when I popped up to the house with Noodle to get Sprout’s girth sleeve, Yogi marched into the house and greeted our guests in the kitchen which was a sight! It’s still not all fun and games though, these ponies are hardy and Yogi does have a wild side, with which he likes to rear on top of me, in a show of dominance, or strikes out with his front legs. These are all signs he would have shown in his herd in order to dominate other horses, so I have to show him I am his “herd leader” by gently yet firmly reprimanding him for bad behaviour. 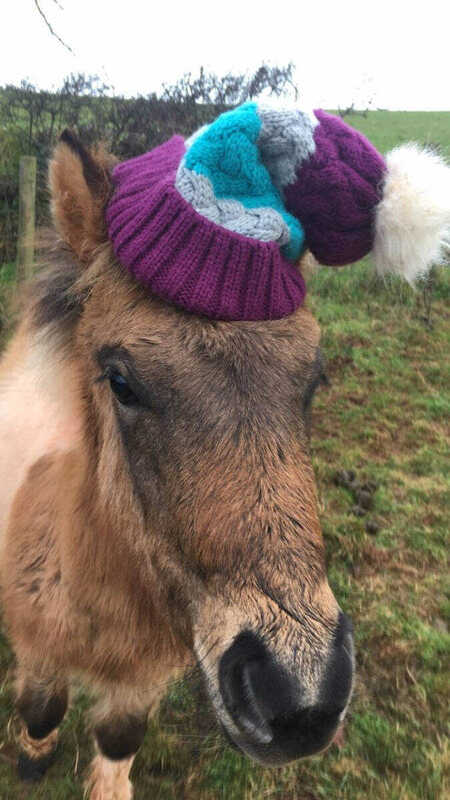 Socialising a wild foal is a very rewarding experience, so if it is something you are interested in, please do drop me an email at 04rfry@gmail.com, but be aware that it is a challenging task and homes will be thoroughly vetted! Equally, its incredible to watch these foals grow up, and work with them! Thank you for reading! Don't hesitate to get in touch via email or instagram (@rf_equine) with any questions.